USDJPY is under the influence of revised GDP report in Japan. 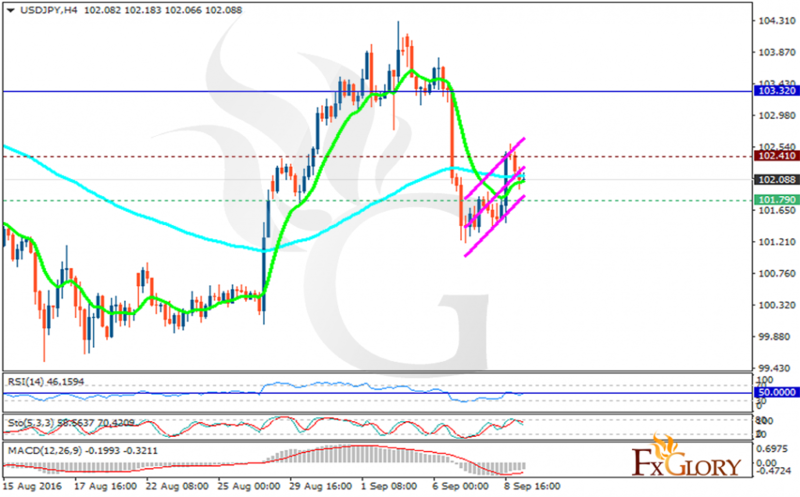 The support rests at 101.790 with resistance at 102.410 which both lines are below the weekly pivot point at 103.320. The EMA of 10 is moving with bullish bias and it is getting close to the EMA of 100. The RSI is moving below the 50 level, the Stochastic is showing downward momentum and it has reached its maximum rate and the MACD indicator is in negative territory heading up. Buyers can target 102.50 area.